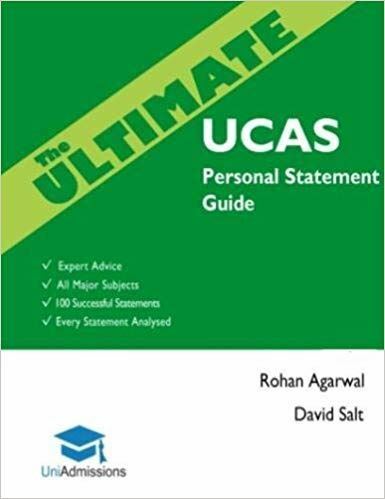 Published by the UKs Leading University Admissions Company, the Ultimate Medical Personal Statement Guide is the most comprehensive personal statement book available. It contains detailed expert advice for every stage of the writing process; from starting the opening sentence to making the finishing touches. 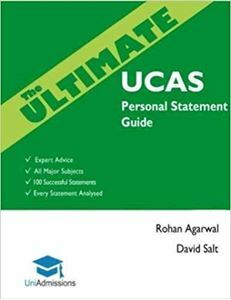 It also includes 100 Successful UCAS Personal Statements so you can see what the admissions tutors for your subject do and don't like. With contributions and advice from over 25 Specialist OxbridgeTutors, includes all major subjects including, Medicine, Veterinary Science, Dentistry, Biology, Chemistry, Physics, Earth Sciences, Geography, Engineering, Computer Science, Maths, Law, Classics, Chinese Students, Archaeology, Psychology, English, Modern Languages, History, Philosophy, Economics, PPE.